I don’t know if it’s the start of fall, or just the start of a new season in me. But I have been spending my free time baking, drinking matcha tea, and reading haiku. I have always felt a strong pull, spiritually, to Japanese culture (maybe it’s the Native American in me, as many studies show some striking similarities an connections). Haiku and baking also have their similarities. There is a need for form and order, and also a great need for freedom and individuality. Neither can thrive without a strong sense of spirit, in my opinion. So today, I wanted to share a delicious recipe with you that I hope lifts and enlightens something in your soul (and belly). Only 8 ingredients, these vegan & gluten-free cookies are somehow gentle in texture while bold in flavor all at once. I took these to my friend’s art show the other night and they disappeared very quickly. In a large bowl, stir together the almond flour, maple syrup, oil, salt, matcha, baking soda, and vinegar. Once your batter is smooth, fold in the dark chocolate chips. 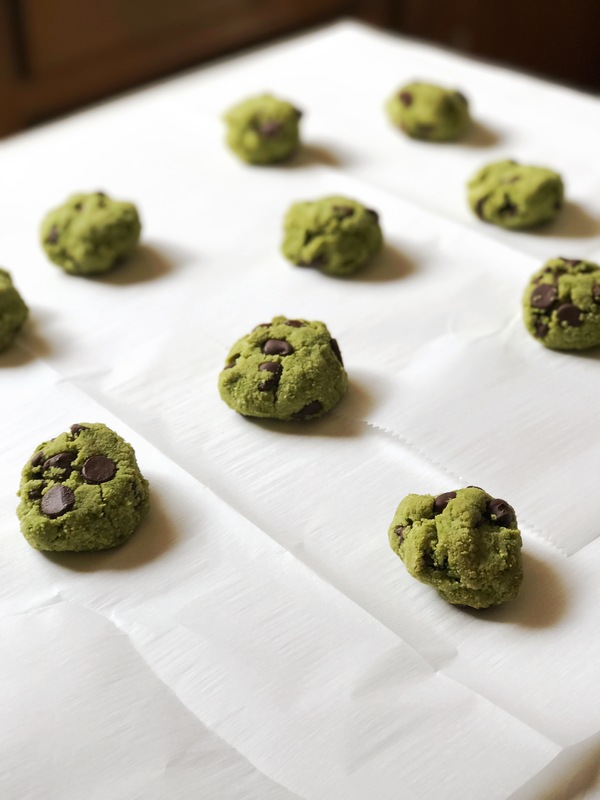 Scoop the dough onto a lined baking sheet (you should have about 12-15 cookies). 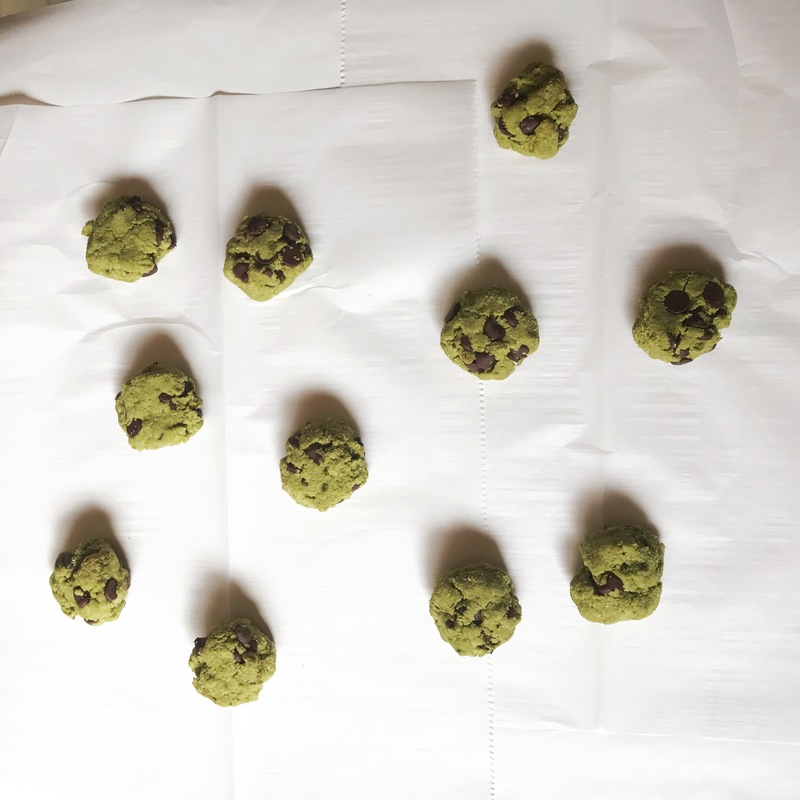 Lightly press the cookies with your finger tips to shape them as they won’t spread much. Bake until lightly golden around the edges, about 10 to 12 minutes. Cool for at least 10 minutes before devouring. Give this recipe a try and let me know how you like it! And as always, if you try any other variations, let me know so I can take a wack at it. Try writing your own haiku today. Get wild. Get peaceful. And if you feel extra crazy, leave a comment below to share your poetry with me.